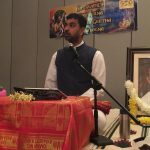 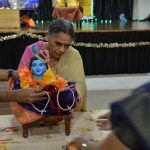 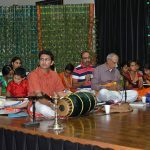 Categories: Bhagavatam Lectures, Krishna, Madhura Utsav, Srimad Bhagavata Saptaham, Srimad Bhagavatam. 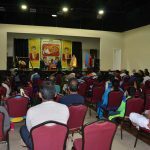 By the immense grace of Sri Swamiji, satsang families across US were blessed with Sri Ramanujamji’s visit from November 21’2016 to January 18’2017. 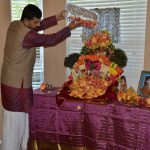 Sri Ramanujamji landed in Dallas and a beautiful Madhura Utsav was conducted during the Thanksgiving weekend from November 22 to 28 2016. 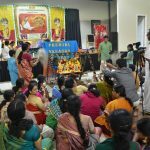 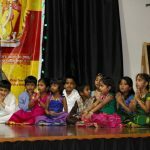 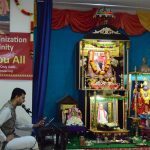 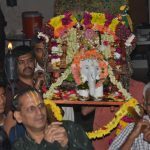 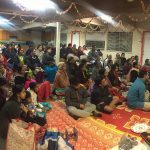 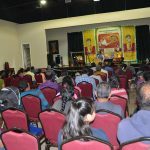 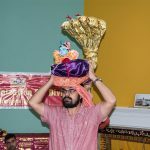 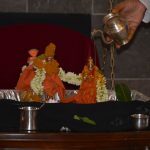 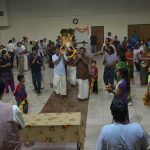 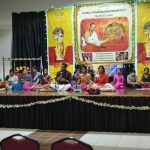 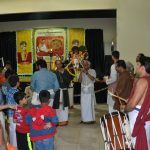 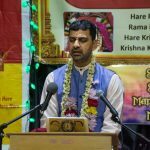 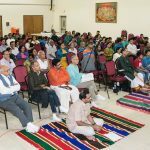 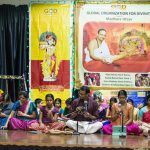 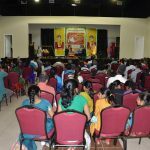 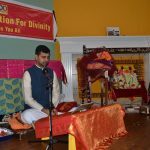 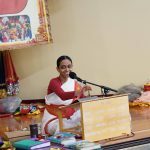 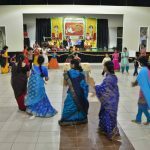 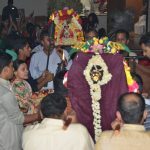 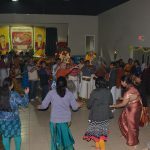 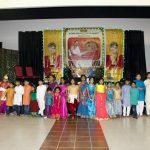 The evening lectures and events that ensued the lectures were held at Sri Guruvayurappan Temple, Carrollton. 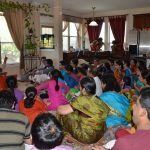 Morning events were conducted at the residence of satsang members. 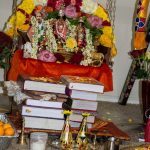 Parayanam of Canto 10 from Srimad Bhagavatam was done at different devotee’s homes, followed by Maduragitam. 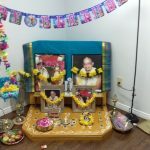 Sri Ramanujamji did Nama japam for 10 – 15 mins and everyone repeated repeated the Nama after him. 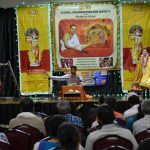 This was followed by a short discourse by Sri Ramanujam ji. 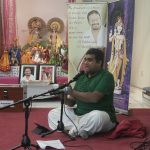 These morning sessions with Sri Ramanujam ji was very special and devotees look forward to having more of such sessions with him in the future. 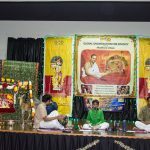 The evening programs commenced off with Sri Swamiji Madhura Gitam Sampoorna Mahayagna – an effort to render all 700 compositions of Sri Swamiji as an offering to Bhagvan in the presence of Sri Ramanujam ji during his visit to the US. 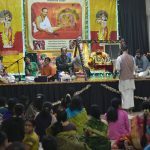 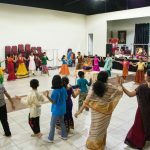 Around 150 kirtans were renderedn during the Madhura Utsav in Dallas. 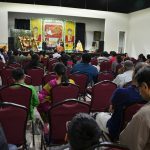 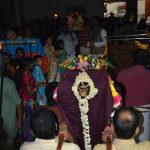 This was followed by Sri Ramanujamji’s annual discourse series on Ekadesa Skandam(Canto 11), the crown jewel of Srimad Bhagavatam at Sri Guruvayurappan temple. 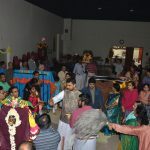 After the discourse, we had Bhagavata Harathi followed by either procession of Madhuri Sakhi Sametha Sri Premika Varadha Takur ji on beautiful vahanas or Divyanamam or Joola utsav. 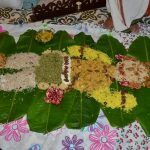 Dinner Prasad was served every night which was followed by dolotsav. 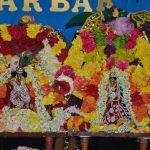 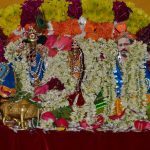 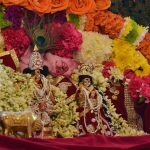 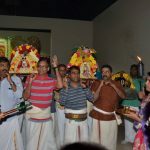 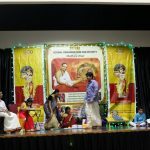 The highlights of the utsav were Nikunjootsav, Govinda Pattabishekam, Janavasam, Radha Kalyanam and the grand procession of the Lordship amidst the musical treat by the bhagavatas. 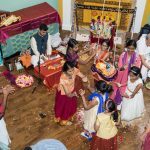 At the end of the utsav, Sri Ramanujam ji distributed the Prasad blessed by Sri Swamiji to all the families that took part in the utsav. 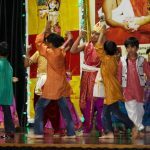 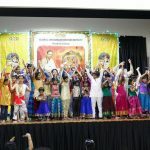 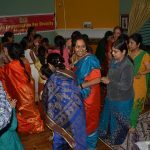 GOD families from others regions like California, Houston and Detroit also joined the Madhura Utsav and added more joy. 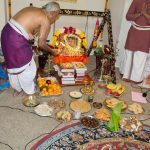 Prayers to the holy feet of our Sri Swamiji and the Lordship to bless us with more such Madhura Utsavs in the coming years as well.